Now you’re in your second trimester, hopefully you’re over the worst of the nausea and sickness and just beginning to notice changes in your body appearance. Long gone is the old myth of ‘feeding for two’. Keeping fit throughout your pregnancy will make it easier to adapt to your changing shape and added weight. Evidence suggests that active women are less likely to experience problems in later pregnancy and labour. And if you keep fit throughout pregnancy you’re more likely to bounce right back. 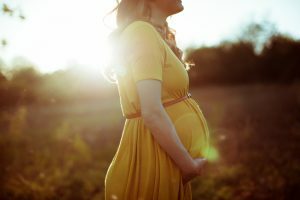 Urinary Incontinence happens to 20% of women after vaginal child birth. Your pelvic floor will need to cope with a lot of stress so get it working now, starting exercising it now so you are prepared after birth. Labour can be more than just a few hours so you’ll need the endurance and stamina to keep going and help make labour a more pleasant experience. There is a multitude of reasons to exercise throughout your pregnancy. It’s safe for the baby so long as you’re not adding in any high impact sport and guided along safely. Throughout the stages in your pregnancy, your body and needs with change, by the third trimester exercises will be adapted to suit your energy levels and will include a lot more stretching to sustain mobility and keep you agile. We give 1-2-1 sessions or if you have a group of ladies, we can give group sessions also and make this a social gathering. We’ve also trained a pregnant woman with her husband and guess who led the class….